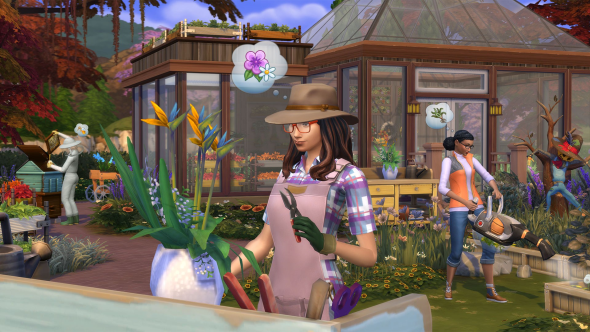 Buying everything in The Sims 4 is a game in itself – a collect-a-thon that requires expert knowledge in the field. Like a jewel appraiser, the Sims 4 expert can look at a DVD case and – ah, do you see? – observe the subtle but telltale signs that distinguish a Game Pack from a Stuff Pack. By the end of this article, that expert will be you. There’s absolutely nothing wrong with choosing add-ons according to whatever pops up on Origin and takes your fancy. 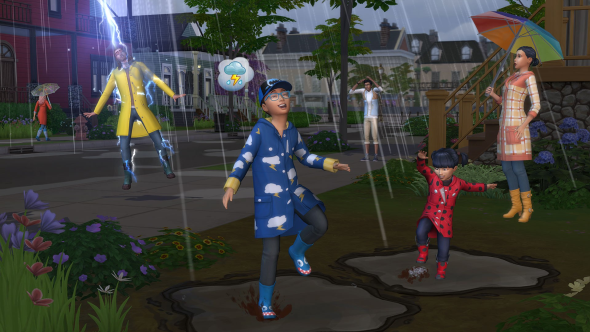 But if you want to know the whole Sims 4 landscape before deciding where you land – or are simply curious about how much you could spend on one management game, if you wanted to – then read on. Like looking down from on high? Play one of the best strategy games on PC. You should know that The Sims 4 and its many expansions, Game Packs, and Stuff Packs are regularly on sale. These discounts can be pretty hefty – at the time of writing, EA is selling the base game at half price, while a couple of bundles offer deals on the most recent expansions. As such, if you were to splurge on the entire Sims 4 catalogue on any given day, you would be unlikely to pay full whack for all of it. The total we’ve come to merely pulls together the cost of the game and every piece of DLC at full price. That caveat out of the way, it’s maths time. Here’s the game as it was released back in 2014, plus a bunch of patches that filled some of the notable gaps you may have heard about at the time – namely toddlers and swimming pools. Given that The Sims is known as a simulator of both life and lavish lifestyles, it’s still remarkable neither were in there to begin with, but I digress. The Sims 4 is a good PC game. The question here is whether you’d splash out for the additions available here. There are a couple of good reasons for doing so: exclusive items and outfits that are great for parties, and a copy of the soundtrack – which is excellent working music. There’s nothing that makes you more productive than an earful of Buy Mode. You’ll pay a steep price for the pleasure, but if you really want everything, Digital Deluxe should be in your basket. Say what you like about the DLC habit of The Sims but you can’t deny the pricing is nice and clear. Unless they’re on sale, expansion packs cost £34.99 – always. Think of these as ‘90s-style add-ons – meaty, meaningful additions to game mechanics and playable areas. Are pets really optional? I don’t think they are. Here, kitty kitty. Get in the basket. 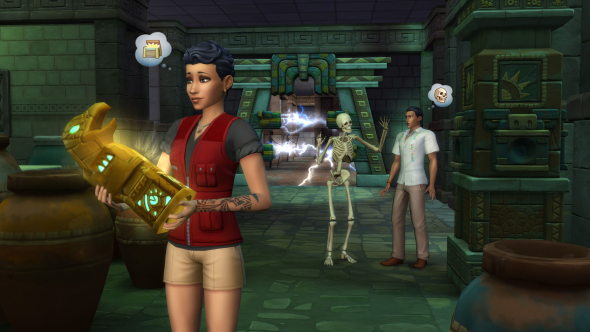 The next type of DLC on the ladder is the Game Pack, which is still a substantial themed experience – like running a restaurant, having a nice day at the spa, or transforming into an immortal creature of myth and building a lair in the Forgotten Hollow. As it stands, there aren’t many more Game Packs than there are expansions – but at £17.99 each, that’s another major hit to the wallet. Now we’re getting frivolous. Throwing cash at the throwaway. 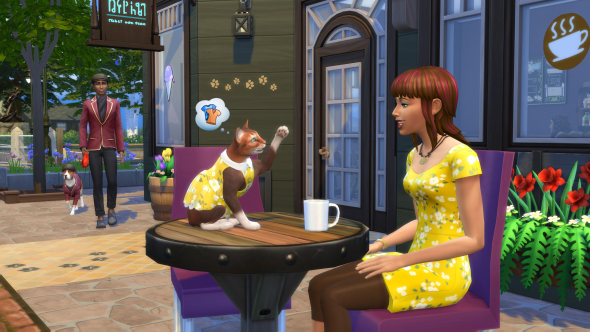 Spending on the furniture and fashion choices that give EA and The Sims such a reputation for over-expanding. Yet there’s value even in the simple Stuff Pack if it fits your sensibilities – I’m a Movie Hangout and Bowling Night kind of person, but not so much Laundry Day. There’s an argument to be made that this is how Stuff Packs are best consumed – as modifiers that turn The Sims 4 toward your particular interests, rather than essential purchases to be bought in bulk. But, sod it, we’ve come this far. In the basket with you. All of you. 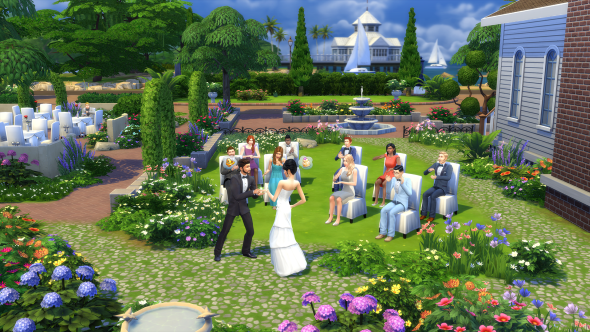 We did it: we spent approximately ten times the amount of a new triple-A game on The Sims 4. In our heads, at least. Are you proud? I’m proud on some level, in the same way acid house group The KLF must have been when they burned a million pounds in a disused boathouse on the Scottish island of Jura. We now own a truly comprehensive version of one of the best management games you can play on PC. But at what cost? Oh, yeah – £467.74. Does anyone else feel a bit sick?